Hamas is doing its utmost to conceal the truth about ISIS in the Gaza Strip, while the Palestinian Authority (PA) is continuing to pretend as if Hamas is headed toward moderation as a result of the "reconciliation" accord. Hamas presents itself as the sole and legitimate ruler of the Gaza Strip and as if it is in full control of the Gaza Strip. If the "reconciliation" agreement is implemented, Majed Faraj, commander of the PA General Intelligence, and considered a strong candidate to succeed Abbas in the West Bank, will soon find himself working with his Gaza Strip counterpart -- a convicted terrorist who serves as a "general," named Tawfik Abu Na'im. Hamas claims that Israel was behind the attempt on the life of Tawfik Abu Na'im, a top Hamas security official in the Gaza Strip. There is good reason to believe, however, that ISIS was behind the assassination attempt, which took place in the Gaza Strip on October 27. 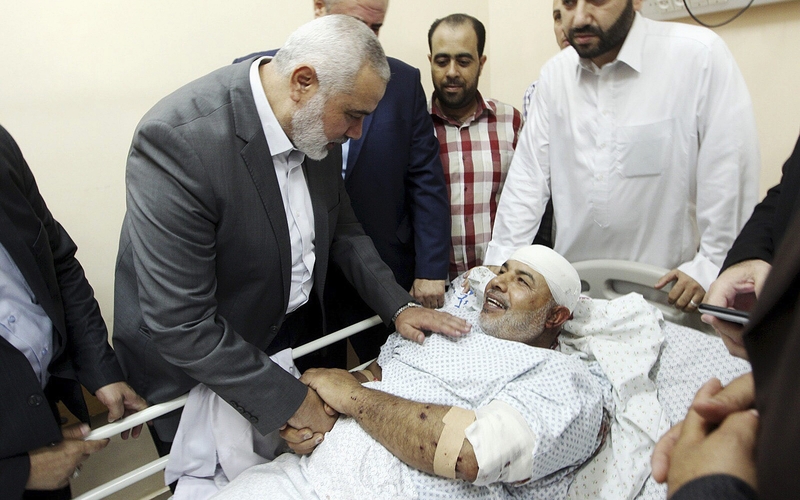 Abu Na'im, commander of Hamas's security apparatus, was lightly injured when an explosive device hidden beneath his car exploded after Friday prayers in a local mosque. Even before Abu Na'im was rushed to hospital, several Hamas officials and spokesmen publicly held Israel responsible. This claim, of course, came without any evidence to support their charge. Abu Na'im, who was released from an Israeli prison in 2011 after 23 years behind bars for terror-related offenses, is one of the founders of Hamas's military wing, Ezaddin Al-Qassam. Since his release and return to the Gaza Strip, Abu Na'im, who holds the rank of "general," has been dubbed the "man of difficult missions." Only a handful of Hamas officials know the nature of the "difficult missions" Abu Na'im is said to have carried out on behalf of the terrorist movement. What is certain, is that these missions were anything but humanitarian in nature. Those who are familiar with Hamas's "missions" cannot but conclude that the "general" was involved in terrorist activities such as the digging of tunnels and the smuggling of weapons. It is also likely that he was involved in planning terror attacks and preparing Hamas for another war against Israel. Hamas is now claiming that Abu Na'im was targeted by Israel precisely because of his involvement with Hamas's terrorist activities. Hamas is also claiming that by targeting its "general," Israel is seeking to sabotage the recent "reconciliation" agreement between Hamas and President Mahmoud Abbas's Palestinian Authority (PA). Ma'mun Abu Amer, a Palestinian expert on Israeli affairs, argues that Israel is the only beneficiary of the assassination of a senior Hamas official. "Israel is trying to sabotage the reconciliation and create chaos in the Gaza Strip," he alleged. He even went as far as claiming that Israel is behind a number of ISIS-inspired terror groups in the Gaza Strip. This last claim is significant. Why? Because it contains a hint as to the identity of the party that is really behind the assassination attempt on the life of Abu Na'im: another ISIS-inspired groups. In the Gaza Strip, most Palestinians do not seem to be buying the Hamas claim that Israel was behind the assassination attempt. It is, in fact, an open secret among Palestinians there that ISIS-inspired terrorists were the ones who planted the explosive device beneath Abu Na'im's vehicle. In addition to his involvement with Hamas's anti-Israel terrorism, Abu Na'im was also responsible for a crackdown on ISIS-inspired groups and individuals who have been openly challenging the Hamas rule in the Gaza Strip. Hamas considers these groups and individuals a major threat to its totalitarian regime and hegemony over the Gaza Strip. Many of the ISIS-affiliated jihadis in the Gaza Strip are former disgruntled members of Hamas who broke away from the group under the pretext that Hamas is too soft, and is failing to carry out enough terror attacks against Israel. A few weeks ago, Abu Na'im's men managed to detain one of the prominent ISIS-affiliated fugitives, Nur Issa, in the Gaza Strip. Issa had been wanted by Hamas for nearly two years before he was captured in a Hamas security operation. The detention of Issa enraged ISIS and its supporters in the Gaza Strip and Syria. Abu Na'im is the second senior Hamas official who has reportedly been targeted by ISIS-inspired groups in the Gaza Strip. Earlier this year, Mazen Fuqaha, another senior Hamas operative, was gunned down outside his home in the Gaza Strip. There, too, Hamas pointed the blame at Israel. Three Palestinians were arrested and executed after a secret trial, in which they allegedly confessed that they had carried out the assassination of Fuqaha on the instructions of Israel. However, only very few Palestinians in the Gaza Strip seem to believe this claim by Hamas. Many are convinced that Fuqaha was killed by ISIS-affiliated terrorists. Hamas knows the truth about the responsibility of ISIS for targeting members of Hamas. Yet, this is a rather inconvenient truth that Hamas prefers to hide. First, it is not comfortable for Hamas to admit that ISIS has long been operating under its nose in the Gaza Strip. Second, it is not convenient for Hamas to admit that its members are defecting to ISIS and other more extremist Islamist terror groups in the Gaza Strip. Third, the timing of last week's assassination attempt on the life of Abu Na'im is particularly problematic for Hamas, as it coincides with its "reconciliation" agreement with Abbas and his Palestinian Authority. Hamas presents itself as the sole and legitimate ruler of the Gaza Strip and as if it is in full control of the Gaza Strip. Hamas does not want Abbas or the rest of the international community to know about the ISIS threat to its regime, as this could have a negative impact on the "reconciliation" agreement and perhaps scare Abbas away from the Gaza Strip. Particularly disturbing, meanwhile, is that Abbas's top Palestinian Authority officials were among the first Palestinians to phone the Hamas general and arch-terrorist, Abu Na'im, to congratulate him on surviving the botched assassination attempt. Of special significance is a phone call Abu Na'im received from Majed Faraj, commander of the PA General Intelligence in the West Bank. Faraj is one of the most powerful figures in the West Bank and is considered a strong candidate to succeed Abbas. Moreover, Faraj enjoys the full political and military backing of the US and other Western countries. If the "reconciliation" agreement is implemented, Faraj will soon find himself working with his Gaza Strip counterpart -- a convicted terrorist who serves as a "general," named Tawfik Abu Na'im. If and when Faraj and the Palestinian Authority ever set foot in the Gaza Strip, they too will have to face the reality that ISIS is already operating there and that it poses a threat not only to Hamas, but also to the PA itself. If ISIS sees Hamas as being too moderate and pragmatic, one can only imagine what ISIS thinks about President Mahmoud Abbas and his Palestinian Authority. For now, however, Hamas and the PA continue to prefer the ostrich routine, burying their heads in the sand. Hamas is doing its utmost to conceal the truth about ISIS in the Gaza Strip, while the PA is continuing to pretend as if Hamas is headed toward moderation as a result of the "reconciliation" accord. Hamas and the Palestinian Authority point accusing fingers at Israel rather than deal with the perils that stare each of them in the face. And it works: this incessant, knee-jerk blame of Israel distracts the world from seeing that the Gaza Strip has become a breeding ground for radical Islamist terror groups. Abbas knows very well that Hamas is not going to change its ideology, but is nevertheless proceeding to get into bed with his nemesis. Hamas knows very well that ISIS is already in the Gaza Strip, but continues to claim Israeli conspiracies. The question is, for how long will Abbas and Hamas manage to fool everyone all of the time? "Gaza Strip: Breeding Ground for Radical Terror Groups". in the world revere Muhammad; so, even if they don't take up arms, they must at least feel the way he did. instituted hate against the Jews and eventually Christians. ISIS goes wherever they can take over the terrorist franchise, be it in Gaza or the streets of New York. It should be clear now, that if the so-called Palestinians get what they want, the destruction of Israel, worldwide jihad will continue. "Palestinian liberation" as a pretext for terror is obsolete. Mass murder is, as it's always been, the modus operandi of the worldwide war of Islam on civilization. I really do not understand the West. In the aftermath of the NY attack political leaders all come out with the standard statements that we shall remain united and win the war against terrorism. Well I have news for you, we are never going to defeat radical Islam until we come to terms with reality. 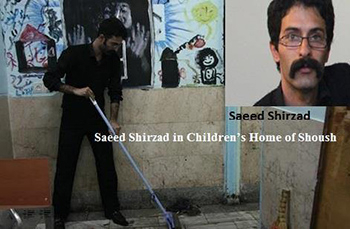 Why did the US ever allow this man to enter the country given his country of origin? In the UK how can the government allow the murderer of a soldier to radicalize others in prison? Unfortunately while the west fiddles Islam, in all its forms, is slowly gaining influence across the western democracies. This is evident in our towns and cities as Muslims seek to impose the Sharia laws, teach their ideology and remove all signs of our Christian heritage. Any attempt to denounce their aims is met with calls of islamophobia or racism and our politicians back down. Either we take a stand now, even if it means upsetting human rights groups, or our societies will be transformed for ever. There has never been any deception on the part of the Palestinians-their objectives is the destruction and re-occupation of Israel. Stop sugar coating the announcements of the Palestinians. Israel needs to isolate this cancer and make it known that they will retaliate immediately if attacked. This is what any Arab government does-why not Israel? Can't be, because he is living. If we had been the attackers, he would have gone straight to Allah. We are not amateurs. Good to hear that the infighting between differing factions continues. Maybe they will destroy each other and Israel won't be held responsible.